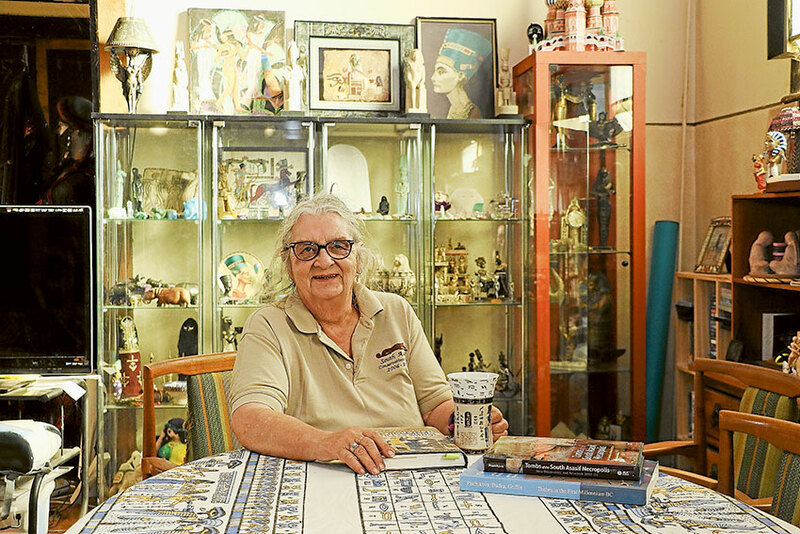 TAKING A JOURNEY BACK THOUSANDS OF YEARS… Local resident, Gallina McKenzie has quite a passion for Egypt and will soon embark on completing her Masters in Egyptology. Photo: Katelyn Morse. HAVING always had an interest in Egypt local resident, Gallina McKenzie found that after completing an online course in a Certificate in Egyptology and visiting the great city of Luxor to volunteer in an archaeological dig, she was hooked. Since then, there have not only been several more visits to Egypt and more digs, but Gallina has gone on to complete her Diploma in Egyptology and will soon embark on completing her Masters in Egyptology through an online course with Manchester University. Gallina sat down with The Adviser to talk about her obsession with one of the more interesting civilisations that once ruled Egypt. “I love Egypt. I have been five times in total and plan on heading back next year while completing my Masters in Egyptology. The more you learn, the more interesting it is,” Gallina said. “I have a large collection of Egyptian items and artefacts; some that I have bought in Egypt. 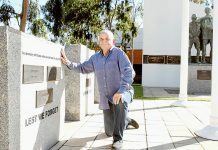 “The digs are quite interesting to take part in. You sit there and sift sand, photograph, measure and draw items and translate the Hieroglyphs. They’ve actually published books now that have some of the work in it that I took part in. “I find it fascinating how the people lived.